The Acceptable Use and Responsibility Policy for Electronic Communications ("Archdiocesan AUP") applies to all archdiocesan users of technology, whether adults, children, or youth, and whether they are students, parents, paid staff or volunteers, clergy, or members of religious orders in the archdiocese or at any Location. All users are expected to adhere to the morals and values of the Catholic Church, to respect others, to consider the potential audience and their expectations, and to follow the Archdiocesan AUP and the other policies, standards, and procedures of the archdiocese. Electronic information and communications require particular safeguards and impose unique responsibilities on all users. All materials and information created and used, in any medium, in the course of activities for or on behalf of the archdiocese or an archdio​cesan school​​, a parish, the seminary, a c​emetery​ or mortuary, the Archdiocesan Catholic Center​, or another archdiocesan department or operating unit ("Location") are assets of the archdiocese and/or the Location, as appropriate. The complete Archdiocesan AUP text is comprised of this section page and all topic pages under this section. ​Electronic communication systems include but are not limited to email, telecommunications systems (including telephone, voicemail, and video), stand-alone or networked computers, intranets, the Internet, and any other communication or data storage or transmission systems (including "the cloud" or cloud-based services) that may be created in the future. 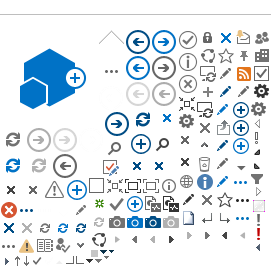 Electronic communication devices include but are not limited to wired and wireless telephones, smartphones, computers, laptops, tablets, photographic, audio and video equipment, flash drives, memory sticks, media players, facsimile machines, scanners, copiers, printers, two-way radios, and other communications equipment that may be created in the future. Electronic communication materials include but ar​e not limited to emails, text messages, instant messages, postings on social media, audio and visual recordings, photographs, films, microfiche, audio and visual broadcasts, computer operating systems, software programs, electronically stored data and text files, computer and web applications, and all other electronic content that is created, downloaded, uploaded, retrieved, opened, shared, saved, forwarded, printed, or otherwise accessed or stored. Person in charge refers to the department head, manager or supervisor of an archdiocesan department, entity or corporation; the pastor, administrator, parish life director, pastoral associate, deacon or other person designated as in charge of a parish; the superintendents of elementary schools or high schools, or a principal, president, or head of school, as applicable. Location refers to any parish, school (whether parish or archdiocesan), the Archdiocesan Catholic Center, any Catholic cemetery and mortuary, and any other operating unit in the archdiocese. All electronic communication systems, devices, and materials, provided to users by the archdiocese or the Location, are to be used primarily to conduct official Location and/or archdiocese business, not personal business, whether during or outside regular business hours. With permission from the person in charge of the Location, individuals may use archdiocesan systems, devices, and materials to access and use the Internet for personal business and web exploration outside regular business hours or during breaks. The Archdiocesan AUP applies to all uses.